Polish-born violinist Bartosz Woroch is a prize winner at major international competitions such as Pablo Sarasate in Spain and Michael Hill in New Zealand. As a soloist Bartosz has appeared with orchestras across the world, including the Royal Philharmonic Orchestra, Auckland Philharmonic, Bern Symphony Orchestra, the Bournemouth Symphony and Polish Radio Orchestras with conductors such as Michael Tilson Thomas, Libor Pešek, Lukasz Borowicz and Henk Guittart. For the past three seasons, he has lead, directed and appeared as soloists with the Sinfonia Cymru, culminating in the orchestra’s first ever international collaboration, 'Small Nations Big Sounds' Festival, of which he was Artistic Director. Bartosz performs widely across Europe at venues including Wigmore Hall, Barbican, Royal Albert Hall, The Palais des Beaux-Arts, Radio France Festival, Lublin Philharmonie, the Edinburgh Fringe, Verbier, West Cork Festivals, and collaborated with a variety of artists such as Pekka Kuusisto, Sting, Caroline Palmer, Uri Caine, Nicholas Daniel, Walter Delahunt and award-winning director Tom Morris. Recently, Bartosz released his debut CD, 'Dancer on a Tightrope' as well as a concerto disc 'ConNotations' with the Britten Sinfonia and Mei Yi Foo. Both recordings have been met with unanimous critical acclaim. A committed chamber musician, Bartosz is the leader of the Lutoslawski Quartet and has given recitals throughout Europe with a recent residency at IRCAM in Paris. Bartosz studied at the Paderewski Academy of Music in Poznan, the Hochschule der Kunste Berne and at the Guildhall School of Music & Drama, where he was guided by Marcin Baranowski, Monika Urbaniak-Lisik and Louise Hopkins. 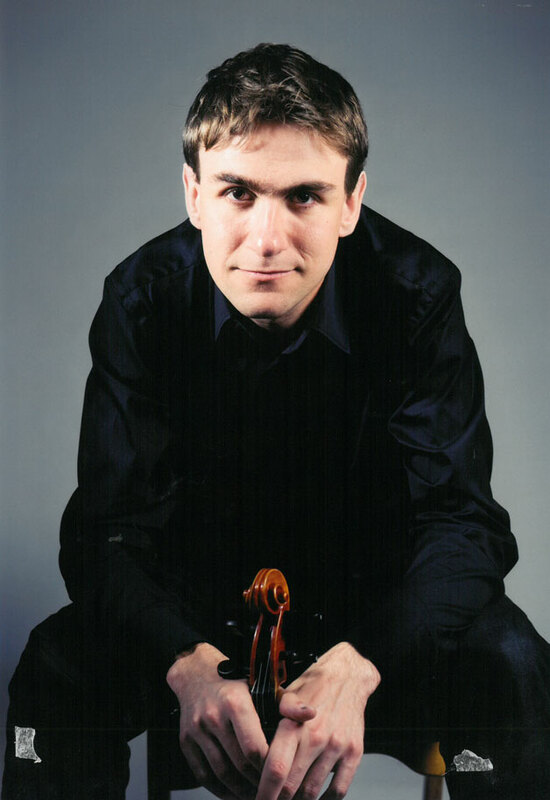 Bartosz is currently a violin professor and the Guildhall School of Music and Drama. Tetsuumi Nagata was born in Canada and began studying the violin at the age of five. When he was twelve, he was awarded a place at the Yehudi Menuhin School, where he studied with Hu Kun and Maciej Rakowski. He continued his studies at the Guildhall School of Music & Drama under the guidance of Professors David Takeno and Krzysztof Chorzelski. Tetsuumi has performed regularly at venues such as the Barbican, Queen Elizabeth and Wigmore Halls, The Sage, Gateshead and at the BBC Proms. He has attended masterclasses at IMS Prussia Cove, Britten Pears Aldeburgh and ProQuartet in France with András Schiff, András Keller, Thomas Adès and members of the Alban Berg, Artemis, Belcea, Cleveland, Endellion, Hagen, Mosaïques and Takacs String Quartets. He was a former member of the Benyounes String Quartet, who were 2nd prize winners at the Orlando Competition in Holland and performed at the Wigmore Hall, Vienna Konzerthaus and at the Britten 100 Centenary weekend in Aldeburgh which was broadcast on BBC Radio 3. Tetsuumi is a member of the Nidum Ensemble and the Arensky Chamber Orchestra. He is now the violist of the Piatti Quartet. 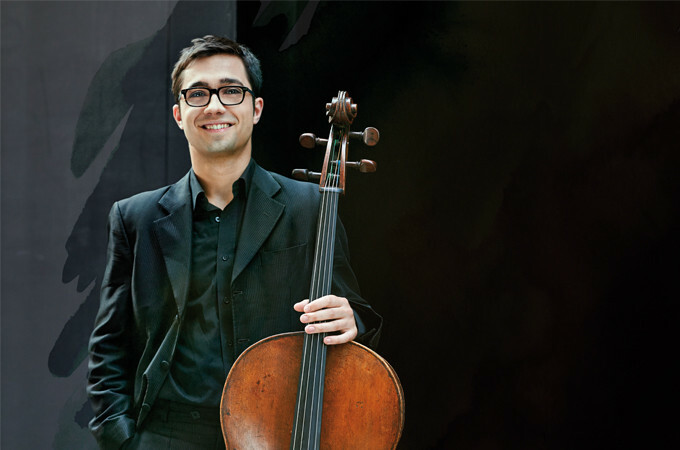 An acclaimed cellist, Jonathan is the recipient of several prestigious awards such as the Guilhermina Suggia Gift and Royal College of Music Cello Prize and in 2012 gave his concerto debut at the Berlin Philharmonie. He was a founding member of the Busch Trio until 2015, during which time the group won prizes at many international competitions including the Royal Overseas League in London, Pinerolo Competition in Italy and the International Schumann Chamber Music Award in Frankfurt. Jonathan performs regularly at at Wigmore Hall, Kings Place and the Southbank Centre and is a frequent guest on BBC Radio 3. Further chamber music collaborations include projects with renowned musicians such as Michael Collins, Jack Liebeck and the Schumann Quartet. He is also is the Assistant Conductor of the City of Birmingham Symphony Orchestra and the Artistic Director of Northern Chords Festival. The 2016-17 season saw Jonathan conduct the CBSO with repertoire ranging from Mozart and Beethoven to Elgar and Tchaikovsky. Jonathan recently made his Hong Kong debut with the City Chamber Orchestra of Hong Kong, and returned to the USA as Cover Conductor with the New York Philharmonic. To close the season, Jonathan conducted his official debut with the CBSO and pianist Peter Donohoe. Tim Gibbs is the Principal Double Bass of the Philharmonia orchestra. Previously Co-Principal Bass with the London Philharmonic Orchestra, he regularly appears as a guest principal with a variety of ensembles and symphony orchestras in the UK and has also spent considerable time in Japan as guest principal double bass with the Orchestra Ensemble Kanazawa. Mei Yi Foo is the winner of the 2013 BBC Music Magazine’s Best Newcomer award. Recognised internationally as an innovative performer, she is equally at home with contemporary music as she is with the core classical repertoire. A prolific concert performer, she has appeared with the Philharmonia Orchestra, English Chamber Orchestra, Seoul Philharmonic, London Chamber Orchestra, Helsinki Philharmonic, Fort Worth Symphony, Bretagne Symphony, Remix Ensemble and the Malaysian Philharmonic, garnering rave reviews from The Times, Independent, Neue Zurcher Zeitung, SRF broadcast, Guardian and Klassik magazines. As a new music advocate, she works regularly with living composers including Dai Fujikura, Richard Baker, Chris Harman and Unsuk Chin, appearing at Berlin’s Ultraschall Festival, Punkt Festival in Norway, Schoenberg Centre, Southbank’s Park Lane Group, Poznan Spring and Das Neue Werk in Hamburg. Following a season of international debuts at the Lucerne Festival, Huddersfield Festival, Hong Kong City Hall and Istanbul’s CRR Concert Hall, Mei Yi’s new season will continue with performances with Sinfonia Varsovia, Porto Symphony Orchestra, National Taiwan Symphony Orchestra and at the Royal Festival Hall as Philharmonia Orchestra’s featured artist for the series ‘Music of Today’. A native of Malaysia, Mei Yi resides in the UK after completing her studies at the Royal College and Royal Academy of Music in London with Yonty Solomon, Chris Elton and Alexander Satz. Currently Mei Yi holds a teaching position at the Royal Welsh College of Music and Drama, and has been honoured an Associate of the Royal Academy of Music as well as a Foundation Fellow at the Wells Cathedral School. Mei Yi was also awarded the medal of Setiawan Tuanku Muhriz for her contribution towards art and music in her home country. During her free time, Mei Yi can be found scuba diving in the depths of South East Asia. Born in 1994, Ke is currently studying at the Royal Academy of Music with Professor Christopher Elton in a Master degree. Most recently, Ke won the first prize in the 18th Concours International de Piano de la ville de Maisons-Laffitte, in France. She was introduced to the piano at the age of three by her grandfather and father, and quickly reached an accomplished level; at five years old she won second prize at the prestigious Xiwangbei piano competition in Beijing and subsequently went on to study with Professor Zhong Hui. In 2006, she began studies with Professor Galina Popova in the Xinghai Conservatory of Music. After a successful audition for the Morningside Music Bridge Festival in Canada, she started to attend masterclasses and gave performances in Poland and Canada. She has participated in masterclasses with many great pianists, including Angela Hewitt, Peter Frankl, Huang-kuan Chen, John Perry, Pascal Devoyon, Joanna MacGregor, Yevgeny Sudbin, Boris Berman, Arie Vardi and Imogen Cooper. Ke has appeared as a soloist with many different orchestras and conductors including, Christian Ehwald, Daye Lin, Nigel Wilkinson, Qiyuan Zhu, Uros Lajovic and Brian Wright. And she collabrated with some Chinese major orchestras and Royal Philharmonic Concert Orchestra in Hastings. Later this year, she is invited to perform with Young Musicians Symphony Orchestra under the baton of James Blair on 28th Sepetember. Besides her solo practice, she also plays a lot of chamber music. Last year, Ke made her duo debut recital alongside British violist Timothy Ridout in Wigmore Hall that was supported by Kirckman Concert Society. Ke is most generously supported by the Leverhulme Trust, the Edward Mandel Bursary, Mr John Burgess, the Steinway & Sons Scholarship, the Ian Fleming Award from Help Musician UK Postgraduate Award 2016/2017, the Tillett Trust and Music scholarship from Liechtenstein Music Academy.er Elton in a Master degree. Most recently, Ke won the first prize in the 18th Concours International de Piano de la ville de Maisons-Laffitte, in France. Ke is most generously supported by the Leverhulme Trust, the Edward Mandel Bursary, Mr John Burgess, the Steinway & Sons Scholarship, the Ian Fleming Award from Help Musician UK Postgraduate Award 2016/2017, the Tillett Trust and Music scholarship from Liechtenstein Music Academy. Over the last year Savitri has made her debut at Carnegie’s Weill Hall and Wigmore Hall, and appeared as soloist with the Royal Philharmonic Orchestra, Bournemouth Symphony, English Chamber and Welsh National Opera orchestras to critical acclaim. Born in 1992 Savitri read Music at Christ Church, Oxford and in 2017 completed her Artist Diploma at the Guildhall School of Music & Drama studying with David Takeno. She was selected for representation by Young Classical Artists Trust (YCAT) in 2015, and this autumn takes up a place at the Universität der Künste Berlin in Nora Chastain’s class. During 2017/18 Savitri undertakes an IMS Prussia Cove Open Chamber Music and Ensemble tour, returns to Wigmore Hall, performs the Mendelssohn Concerto with Oxford Philharmonic Orchestra and the Bruch Concerto at St. John’s Smith Square. Savitri has given recitals at festivals and venues across Europe including the East Neuk Festival retreat, the Holland International Music Sessions, Musique à Marsac in France, Avigdor Classics in Bern, Sage Gateshead, the St Magnus, Bury St. Edmunds, Newbury, Norfolk & Norwich, Harrogate and Roman River Festivals. Previous highlights include performances of the Sibelius and Tchaikovsky Concertos with Oxford Philharmonic Orchestra, Mozart with the Barbican Young Orchestra and Mendelssohn with the English Festival Orchestra at the Royal Albert Hall. During 2017 she is Suffolk Philharmonic Orchestra’s Featured Young Artist. A committed chamber musician, Savitri has collaborated with Susan Tomes, Christoph Richter, Steven Isserlis, Krzyzstof Chorzelski, Richard Uttley, Andrew Marriner and Alasdair Beatson, and gives recitals with the Grier Trio. Savitri is grateful for support from Help Musicians UK, the Philharmonia Orchestra/Martin Musical Scholarship Fund, Hattori Foundation and the Countess of Munster Musical Trust. Noted for the integrity and breadth of his musicianship as soloist, chamber musician and recording artist, Richard has been recognised for his ‘musical intelligence and pristine facility’ (International Record Review), ‘amazing decisiveness’, and ‘tumultuous performance’ (Daily Telegraph). His playing is frequently broadcast on BBC Radio 3 and has featured on BBC Two, BBC Four and Sky Arts. Richard won the British Contemporary Piano Competition in 2006 and was represented by Young Classical Artists Trust 2011-17. Richard’s London debut, at the Southbank Centre’s Purcell Room in 2010, was described by The Times as a ‘brilliant recital’. Richard has since performed extensively as recitalist and concerto soloist, at venues including Bridgewater Hall, Cadogan Hall, Royal Festival Hall, Queen Elizabeth Hall and Wigmore Hall. He has released several solo recordings to critical acclaim, and in 2017 undertook a solo recital tour of ten cities in China. Richard regularly collaborates with other leading instrumentalists. His recording with violinist Callum Smart, La Voix (Orchid Classics, 2016), was a Selected Recording in The Strad, and the pair subsequently performed in the Auditorium du Louvre and Konzerthaus Berlin. With trombonist Peter Moore, Richard has toured China and Columbia, and premiered works by Francisco Coll and Jack White. With clarinettist Mark Simpson, Richard has recorded for TV and radio, and this season premiered a work by Mark Bowden. 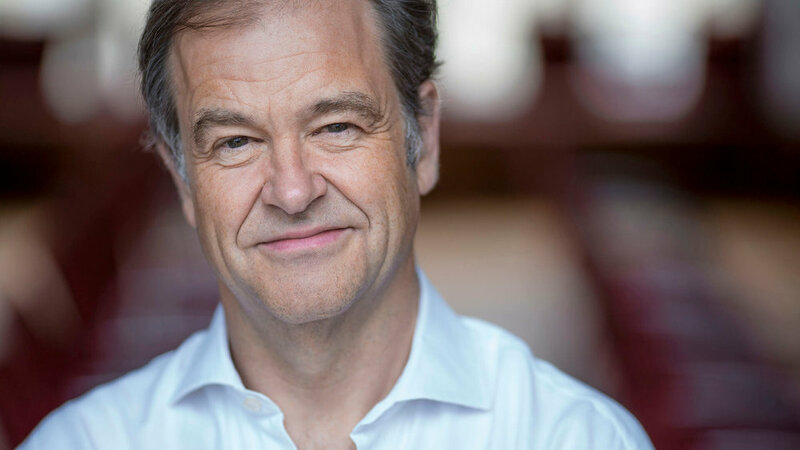 In 2018 Richard performs frequently with violinist Savitri Grier, including at Wigmore Hall, in Monaco and in China. Richard often commissions new music, and has appeared several times at Huddersfield Contemporary Music Festival. He recently won the eleventh Yvar Mikhashoff Trust Pianist/Composer Commissioning Project Award with composer Kate Whitley – the first UK recipients of the award – who will be writing him a major new work for the 2018/19 season. Richard is a contributor to Edition Peters’ Piano Masterworks series on the Tido Music iPad app, which includes films of him performing and giving tutorials on core piano repertoire. He also records for the Associated Board of the Royal Schools of Music’s Piano Syllabus CDs. He teaches in London at Guildhall School and City University. Described as an ‘endlessly fascinating artist’, Ashley Wass is firmly established as one of the leading performers of his generation. He began playing the piano at the age of five, and studied music at Chetham’s School of Music from age 11. In his teens he studied on scholarship at the Royal Academy of Music, where his teachers included Christopher Elton and Hamish Milne. Ashley’s watershed moment came in 1997 when he won the London International Piano Competition (the only British winner this far), a victory that led to a recording contract with Naxos, making him the first solo artist to obtain an exclusive deal with the label. His first recording was a highly praised CD of César Franck piano music, released in 1999. He has also been prizewinner at the Leeds Piano Competition, and is a former BBC Radio 3 New Generation Artist. Ashley has performed at many of the world’s finest concert halls including the Wigmore Hall, Carnegie Hall and the Vienna Konzerthaus. He has performed as soloist with ensembles including all of the BBC orchestras, the Philharmonia, Orchestre National de Lille, Vienna Chamber Orchestra, Hong Kong Philharmonic, RLPO, and under the baton of conductors such as Simon Rattle, Osmo Vanska, Donald Runnicles, Ilan Volkov and Vassily Sinaisky. He appeared alongside the likes of Sir Thomas Allen, Mstislav Rostropovich and Angela Gheorghiu in a gala concert at Buckingham Palace to mark the Golden Jubilee of Queen Elizabeth II, a performance broadcast live to millions of viewers around the world. He made his BBC Proms debut in 2008 with Vaughan Williams’ Piano Concerto, and returned in following seasons to perform works by Foulds, Stravinsky, Antheil, and McCabe. Last season’s highlights included a debut at the Melbourne Recital Centre, as well as an acclaimed performance of the Foulds Dynamic Triptych with the BBC Scottish Symphony Orchestra. Highlights of 2016 include performances with the Slovak Philharmonic and BBC National Orchestra of Wales, a tour to South America, as well as an extensive solo recital tour with a programme celebrating William Shakespeare. Much in demand as a chamber musician, Ashley regularly partners many of the leading artists of his generation. He is a frequent guest of international festivals such as Pharos (Cyprus), Bath, Ako (Japan), Cheltenham, Kuhmo, Mecklenburg, Gstaad, City of London, and Ravinia and Marlboro in the USA, playing solo recitals and chamber works with musicians such as Mitsuko Uchida, Steven Isserlis, Emmanuel Pahud, Maxim Rysanov, Richard Goode and members of the Guarneri Quartet and Beaux Arts Trio. In 2012 Ashley formed the Trio Apaches with violinist Matthew Trusler and cellist Thomas Carrol. The central focus of the Trio is to create innovative projects, with a particular focus on exploring repertoire that isn’t performed every day. Trio Apaches regularly appears on BBC Radio 3 and is rapidly establishing itself as one of the most in demand British ensembles of today. Matthew Trusler has been invited to perform as a recitalist and concerto soloist throughout Europe, Australia, the USA, Japan and South Africa. In the UK he has performed with most of the major orchestras, and has appeared further afield with the Minnesota Orchestra, NDR Hanover, Helsinki Philharmonic, Deutsche Symphony Berlin, Malaysian Philharmonic and Johannesburg Philharmonic. Some of his personal highlights include tours with the Australian orchestras (including appearances in Perth, Queensland and Tasmania), a tour of Germany with the Academy of St. Martin-in-the-Fields and Sir Neville Marriner, and a tour of Mexico with Martyn Brabbins and the Philharmonia. Alongside his concerto work Matthew Trusler is an accomplished recitalist and an avid chamber musician. Trusler has performed frequently with Wayne Marshall, and the duo’s recent disc – Blues –presents a collection of short pieces by composers directly influenced by jazz. The CD was released to huge critical acclaim, including CD of the week in the Telegraph, CD of the week on Classic FM, and Recital CD of the month in Strad Magazine. Collaborations with other eminent musicians have included Piotr Anderszewski, Martin Roscoe, Peter Donohoe, Imogen Cooper, Leonidas Kavakos, Lynn Harrell, and Joseph Silverstein. Trusler has performed recitals in leading venues around the world including the Wigmore Hall in London, the Auditorium du Louvre in Paris, and the Palais des Beaux Arts in Brussels. Future collaborations include a recording of violin and viola repertoire with Lawrence Power, trio performances with Guy Johnston and Huw Watkins, and several film collaborations with conductor and composer Carl Davis, including the world premiere of Davis' piece for violin and orchestra, Anne Frank Remembered. Trusler founded Orchid Classics in 2005 as a creative extension to his love of performance. Distributed internationally by Naxos, the label is developing projects with artists including Joan Rodgers, Guy Johnston, James Gilchrist and Lawrence Power. Trusler's new recording of violin concertos by Korngold and Rozsa, with the Dusseldorf Symphony under Yasuo Shinozaki, will be released this September. Orchid Classics supports The Lenny Trusler Children's Foundation (LTCF) of which Trusler is a Founder. Trusler has a passion for film, and has recently acted as a consultant on the adaptation of Norman Lebrecht's novel The Song of Names for film, the screenplay being written by Jeffrey Caine (Oscar Nominee for The Constant Gardener). Earlier this year, Trusler recorded the violin solos for the soundtrack of a new French film by director Frédéric Mermoud, Complices. Matthew Trusler holds a teaching post at the Malmö Academy in Sweden, and lives in Paris with his wife and young daughter. He plays a 1711 Stradivarius. Nominated by the Barbican as ECHO Rising Star in 2015, Michael has performed widely in Europe appearing at major concert halls including the Concertgebouw Amsterdam, Cité de la Musique Paris, Musikverein Vienna, Budapest Palace of Arts, Kölner Philharmonie and the Laeiszhalle Hamburg. Further afield he has given recitals at Carnegie’s Weill Hall and Los Angeles Cello Festival, and toured throughout China. As a soloist Michael has appeared with the Philharmonia, Royal Philharmonic, Bournemouth Symphony, CBSO Youth Orchestra, City of London Sinfonia, English Chamber, Munich Chamber, London Mozart Players and the Barbican Young orchestras (conducted by Edward Gardner) performing concertos by Barber, Dvořák, Elgar, Haydn, Walton and Shostakovich. 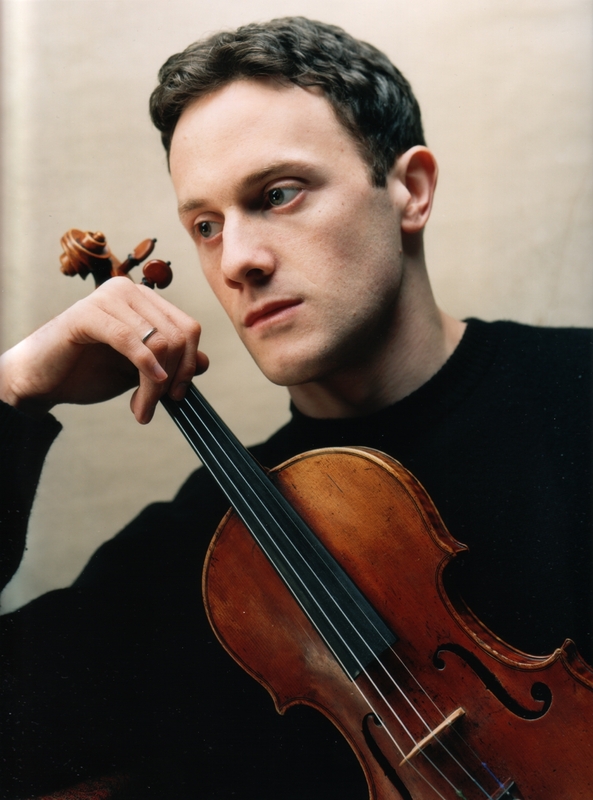 In 2013 he performed Prokofiev’s Sinfonia Concertante at the Barbican conducted by Gianandrea Noseda. Future engagements include performances of the Haydn Concerto in D with Sinfonia Cymru, Tchaikovsky Rococo Variations with the Royal Philharmonic Orchestra and the Barber Concerto with the New Symphony Orchestra in Sofia, Bulgaria. He gives recitals with Tasmin Little at the Two Moors Festival, takes part in the Trondheim Chamber Music Festival and returns to Wigmore Hall with Trio Isimsiz. Erdem Mısırlıoğlu was born in Ipswich in 1989 to a Turkish father and British mother. Neither of his parents are musicians, but he started his own musical training at the age of six, having piano lessons from the age of nine. At the age of thirteen he was recommended to attend a conservatoire on Saturdays and studied for five years under Mark Fielding at Junior Guildhall. He is now in the third year of his undergraduate course at GSMD, where he has won a full scholarship to study with concert pianist, Martin Roscoe. In 2006, Erdem was a prizewinner in the International Rachmaninov Competition for Young Pianists, held in the composer’s birth place, and was also awarded the Keyboard Instrument Prize at GSMD. In 2008 he won the Principal’s prize at GSMD and was the piano winner of BBC Young Musician of the Year. Subsequently, he performed Rachmaninov’s Rhapsody on a Theme of Paganini with the BBC National Orchestra of Wales. 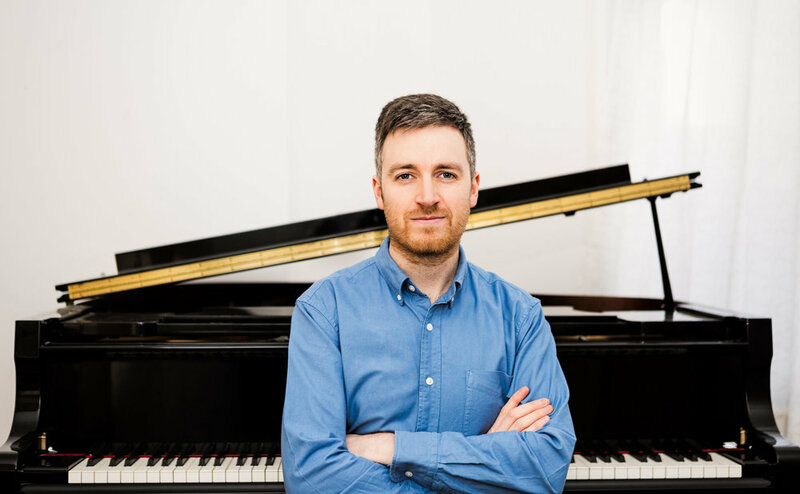 He has enjoyed receiving masterclasses from top pianists including Ronan O’Hora, Bernard Roberts, Peter Donohoe and Lang Lang, who said about Erdem’s playing: “Such a special sound...I really enjoyed everything he does, it’s quite stunning playing”. He is an active performer, regularly appearing as recitalist, concerto soloist and chamber musician. Next season’s concerto performances are to include Liszt’s 1st Piano Concerto, Rachmaninov’s 3rd Piano Concerto and Tchaikovsky’s 1st Piano concerto. His past performances have taken him to France, Poland and Russia and he has played in venues such as St Martin in the Fields, Snape Maltings, Cardiff Millennium Centre and the Wigmore Hall. A recital of Beethoven’s op 109 Sonata and Chopin’s 4 Ballades at the Wigmore Hall was broadcast on Radio 3. A keen chamber musician, Erdem is part of a piano trio formed with friends at GSMD as well as the Arnold Camerata, a larger ensemble of string and wind players from GSMD and RAM, with whom he recently performed Schubert’s Trout Quintet and Poulenc’s Wind Sextet among other works. He enjoys working with other musicians and always wants chamber music to be a part of his musical life. Erdem would like to thank The Worshipful Company of Goldsmiths for their support. Pablo Hernán Benedí was born in Madrid, Spain. He studied at the Padre Antonio Soler Conservatory in San Lorenzo de El Escorial with Fernando Rius and Polina Kotliarskaya, before coming to London in 2009 to study at the Guildhall School of Music and Drama with David Takeno. In his young career, Pablo has followed master classes with the Cuarteto Casals and the Cuarteto Quiroga, and also with Anuschka Comesaña and David Quiggle, supported by the Guildhall School of Music and the Comunidad de Madrid. Since 2011 he has received scholarships from the Martin Musical Scholarship Fund and Juventudes Musicales. Pablo has worked with teachers such as Wolfgang Redik, Thomas Riebl, Pavel Gililov and Ralph Gothoni and collaborated with the Simón Bolívar Orchestra, the Orquesta Iberoamericana and the European Camerata. As well as being a member of the Chiaroscuro Quartet, Pablo plays chamber music with artists including Louise Hopkins and Jérôme Pernoo. Future engagements of his trio Isimsiz will take him on stage of London venues such as Barbican and Royal Festival Hall. Pablo also received lessons from Gordan Nikolitch, with whom he performs in the BandArt Orchestra. He appears regularly at all the major music centres and festivals: the Aldeburgh, Edinburgh, Munich, Schubertiade, and Salzburg Music Festivals; Carnegie Hall and Lincoln Centre New York; The Royal Concertgebouw, Amsterdam and Philarmonie, Berlin; the Châtalet and Musée de Louvre Paris; La Scala, Milan and Teatro de la Zarzuela, Madrid; Musikverein and Konzerthaus, Vienna; and Wigmore Hall and BBC Proms London. Director of the Perth International Chamber Music Festival in Australia from 2000 - 2003, Julius Drake was also Artistic Director of the Leeds Lieder Festival in 2009, and musical director of Deborah Warner’s staging of Janáček’s Diary of One Who Vanished, touring to Munich, London, Dublin, Amsterdam and New York. Since 2009 he has been Artistic Director of the Machynlleth Festival in Wales. Julius Drake’s passionate interest in song has led to invitations to devise song series for Wigmore Hall, London, the BBC and The Royal Concertgebouw, Amsterdam. 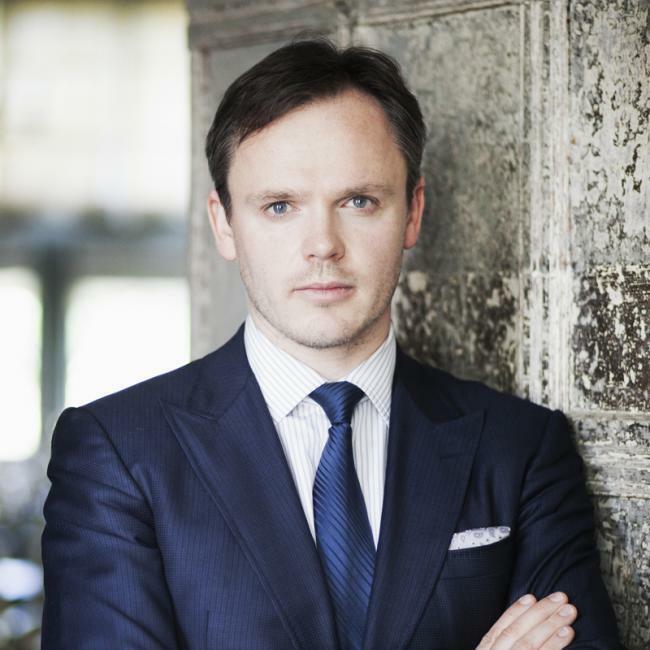 His annual series of song recitals – Julius Drake and Friends – in the historic Middle Temple Hall in London, has featured recitals with many outstanding vocal artists including Sir Thomas Allen, Olaf Bär, Iestyn Davies, Veronique Gens, Sergei Leiferkus, Dame Felicity Lott, Simon Keenlyside and Sir Willard White. Born in 1995, Malaysian pianist, Hao Zi YOH began her music studies at the age of 3. By the age of 12, she had already performed at Carnegie Hall as a gold medallist of the Bradshaw and Buono International Piano Competition. In the same year she also performed her own composition “Bustling City and Peaceful Suburb”, representing Malaysia at the Yamaha Asia Pacific Junior Original Concert 2007. She has appeared as soloist performing in festivals around Europe, USA, China, Japan and Malaysia, and has performed in prestigious venues such as the Wigmore Hall, Royal Festival Hall, Dewan Filharmonik Petronas (Malaysia) and Teatro Quirino (Italy). 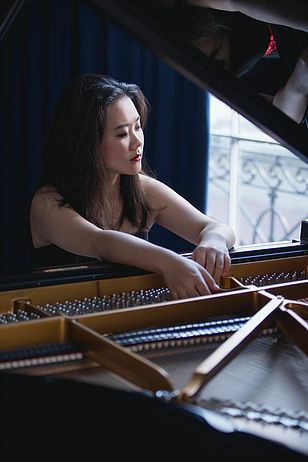 Described as a young artist with great sensitivity to tone colour, Hao Zi has won top prizes in many international piano competitions, including the RNCM James Mottram International Piano Competition (Manchester, England 2012) where she performed with the Royal Liverpool Philharmonic under the baton of Hannu Lintu. Her success at the Concurso internacional de piano Rotary Club Palma Ramon LLull, Mallorca (Spain 2013) led her to concert tours in Spain, and also opportunity to perform with the Baleares Symphony Orchestra with conductor Pablo Mielgo. Recently she received the Third Prize in the main category of Roma International Piano Competition and the Phillip Crawshaw Memorial Prize at the Royal Overseas League Competition. She part of the Talent Unlimited and is also selected as - one of only a maximum of three - Piano Fellow of the Philharmonia Martin Musical Scholarship Trust on the Emerging Artists Programme. Hao Zi had the privilege to have studied under Prof. Christopher Elton (Royal Academy of Music - Master of Music and Professional Diploma Course), Prof. Elza Kolodin (Hochschule für Musik Freiburg, Germany - Bachelor of Music) and Chong Lim NG (Malaysia). Henry studied as an undergraduate at the Guildhall School of Music and Drama with Sarah Newbold and Ian Clarke. He was selected for the BBC Total Immersion project, leading to performances of Oliver Knussen’s chamber music on BBC Radio 3. He went on to study on the Orchestral Artistry programme in association with the London Symphony Orchestra under Philippa Davies and Christopher Green. During this time he was generously sponsored by the Leverhulme Arts Trust as a Guildhall School scholar. Whilst studying, Henry was principal flute in the LSO Donatella Flick Conducting Competition, and played with the Guildhall Symphony Orchestra at the Barbican Hall and at Milton Court. He worked with conductors such as Sir Antonio Pappano and Yan Pascal Tortelier. Henry gained a place at the Aurora Chamber Music Festival in Sweden where he studied with Denis Bouriakov. As a soloist, Henry has performed across the UK, including Mozart’s Flute Concerto in G at the Capitol Theatre with the Horsham Symphony Orchestra. As an orchestral musician Henry was principal flute for the Exeter College Choir, Oxford, recording the first ever CD of Stanford Mass in G (EM Records). He has regularly played under the baton of Jamie Phillips with the Birmingham Festival Orchestra and toured France with Don Giovanni and Italy with La Traviata. Henry is extremely grateful to the Westdene Fund, the Humphrey Richardson Taylor Trust, the Wolfson Trust, EMI Foundation and the LFMI for their support. George Hoult comes from Manchester, where he studied with Nick Trygstad at the RNCM before undertaking a masters at the RCM with Melissa Phelps, graduating in 2014. He now lives in London and enjoys the variety of life as a freelance cellist, performing regularly as a soloist, chamber musician and in orchestras. 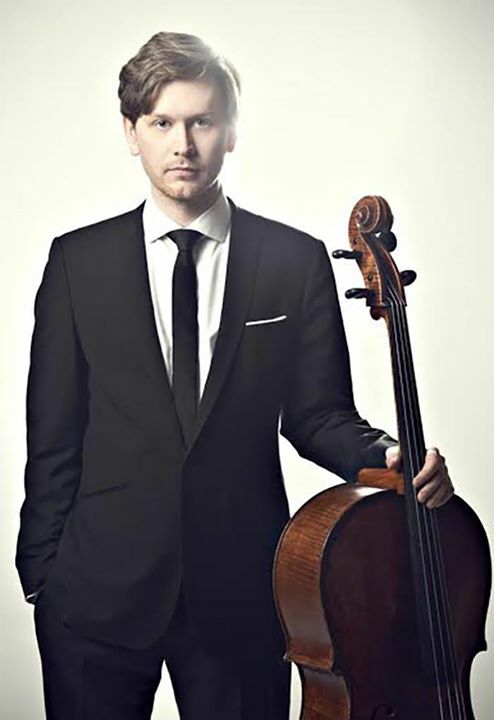 George has won various awards, including 1st prize in the UK final of the 2012 Lions European Cello Competition, 1st prize in the RNCM Weil Prize for chamber music, and scholarships from the Philharmonia/Martin Musical Scholarship Fund, the RCM John Lewis Scholarship, and the Countess of Munster Trust. Recently George has enjoyed chamber music collaborations as a member of Sinfonia Cymru, as well as with the Pelléas Ensemble. George is an accomplished orchestral cellist - he has worked with many of the major UK orchestras including the LPO, BBC Symphony, RPO, Hallé, CBSO and BBC Philharmonic, as well as the LSO as a participant of the 2014 String Experience Scheme. He has also been principal cello of the Pacific Music Festival orchestra in Japan, and has toured with orchestras across the Far East, South East Asia, Mexico and the USA. Oliver Wass studied at the Guildhall School of Music & Drama with Imogen Barford. He graduated from the University of York with a First Class Honours degree in Chemistry. He recently won the Suoni d’Arpa International Competition in Italy, and will record a CD with the Tactus Label early next year. In May 2016, he became the first harpist ever to win the Guildhall Gold Medal, the Guildhall’s most prestigious prize. Previous winners of the competition include Jacqueline du Pré, Bryn Terfel and Tasmin Little. He has performed all the major harp concertos, including directing the Handel Harp Concerto in the Barbican Hall. He has also performed concertos at the London Handel Festival, the City of London Festival, with the Oxford Sinfonia, and with the World Chamber Orchestra. He won the Andrea Vigh Jury Prize at the 4th International Harp Competition Szeged. He is a Musicians’ Company Yeoman, and will give his Purcell Room debut in 2018. He is very grateful for support from the Hattori Foundation. He made his Wigmore Hall debut in 2016, where he was praised for his “tremendous dynamism” and "remarkable range of timbres and warmth of tone” (Seen and Heard International).